Having a predefined quality management system, we are readily betrothed towards presenting a comprehensive compilation of Nail Paint Brush. Keeping track with latest market development, we are devotedly engaged in trading a wide assortment of Nail Paint Brush. 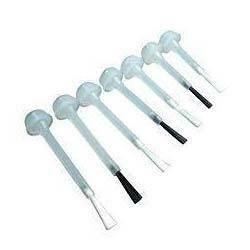 Our manufactured brushes work as a great applicator for applying nail polish. It fits perfectly in your hand and gives a flawless look to the polish so applied. It is easy to use and carry. 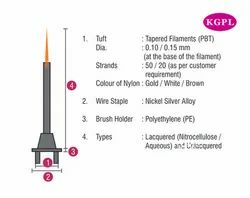 The brushes are made from quality material and come in different shape and sizes. We have gained a remarkable position in the market by offering Plastic Nail Polish Brush.